How much do you want the Gift Certificate to be for? Who would you like the certificate to say it is “from”? 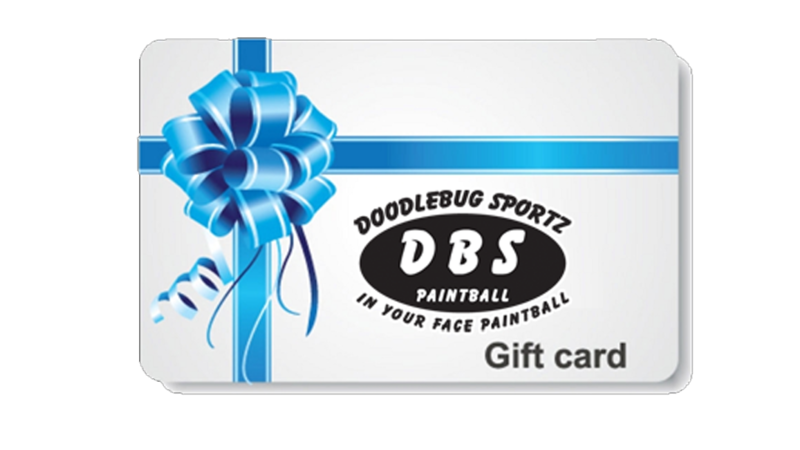 Our Gift Certificates are a credit that are put on the recipients account. This ensures that if they lose their voucher they will still have the credit at DBS! For each recipient fill out the form below with the amount, recipient name, recipient phone number, then click add to cart. You can add multiple to your cart, then complete the checkout process. The Basic Rental Package gets a player admission to one of our Open Sessions with rental equipment & 500 paintballs! That package is $40 (+ tax). We recommend a $50 gift certificate for this. This gets them enough for the package plus tax, and an accessory like cotton gloves. The Upgraded Rental Package gets a player admission to one of our Open Sessions with an upgraded rental gun, rental mask, & 500 paintballs! That package is $50 (+ tax). We recommend a $60 gift certificate for this. This gets them enough for the package plus tax, and an accessory like cotton gloves. The 1-Hour Group is $250 getting up to 10 players rental equipment & 2000 paintballs. Additional players are $25 each. For this we recommend a $300 gift certificate as it will cover the party cost, tax, and give them enough for a few accessories. The 2-Hour Group is $350 getting up to 10 players rental equipment & 3500 paintballs. Additional players are $35 each. 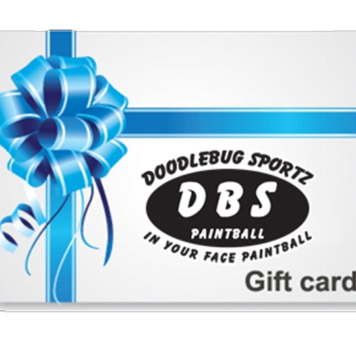 For this we recommend a $400 gift certificate as it will cover the party cost, tax, and give them enough for a few accessories. The 3-Hour Group is $450 getting up to 10 players rental equipment & 3500 paintballs. Additional players are $45 each. For this we recommend a $500 gift certificate as it will cover the party cost, tax, and give them enough for a few accessories.